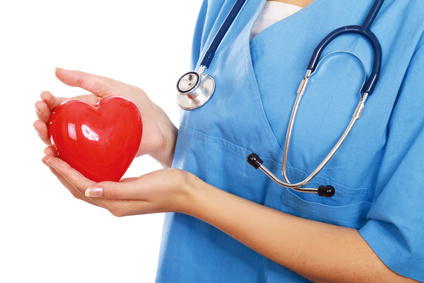 Healthy Now and Later: Heart Disease: Are you at risk? According to the World Health Organization (WHO), heart disease is the leading cause of death of men and women in America. What's worse is, many cases are preventable. Find out your risk what you can do to reduce your risk, starting today. - Swelling in the legs, ankles, and/or feet. You might not be diagnosed with heart disease until your condition worsens to the point that you have a heart attack, stroke or chest pain. It's important to watch for these symptoms and discuss any concerns with your doctor. Heart disease can sometimes be found early with regular visits to your doctor, along with avoiding risk factors and participating in heart healthy activities. Your age: Simply getting older increases your risk of damaged and narrowed arteries and weakened or thickened heart muscle, which contribute to heart disease. 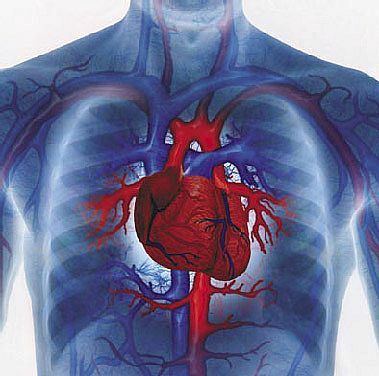 Your gender: Men are generally at greater risk of heart disease. The risk for a woman increases after menopause, especially those on hormone therapy. Family history: A family history of heart disease increases your risk of coronary artery disease, especially if a parent developed it at an early age (before age 55 for a male relative, such as your brother or father, and 65 for a female relative, such as your mother or sister). Smoking: Nicotine constricts your blood vessels, and carbon monoxide can damage their inner lining, making them more susceptible to atherosclerosis. Poor diet choices: A diet that's high in fat, salt and cholesterol can contribute to the development of heart disease. High blood pressure: Uncontrolled high blood pressure can result in hardening and thickening of your arteries, narrowing the vessels through which blood flows. This puts more stress on the heart to pump through narrowed vessels. High blood cholesterol levels: High levels of cholesterol in your blood can increase the risk of formation of plaques and atherosclerosis. Plaques can be caused by a high level of low-density lipoprotein (LDL) cholesterol, known as "bad" cholesterol, or a low level of high-density lipoprotein (HDL) cholesterol, known as "good" cholesterol. Diabetes: High blood sugar levels harms the lining within the vessels, leaving them more susceptible to collecting plaque. Among other reasons, diabetes or uncontrolled elevated blood sugar levels highly increases your risk of heart disease. Obesity: Excess weight typically worsens other risk factors and increases the work load on the heart. Physical inactivity: Lack of exercise also is associated with many forms of heart disease and some of its other risk factors, as well. High stress: Unrelieved stress in your life may damage your arteries as well as worsen other risk factors for heart disease. Poor hygiene: Not regularly washing your hands and failure to establish other habits that can help prevent viral or bacterial infections can put you at risk of heart infections, especially if you already have an underlying heart condition. This also include dental health. Smoking or using tobacco is one of the most significant risk factors for developing heart disease. Smokeless tobacco and low-tar and low-nicotine cigarettes also are risky, as is exposure to secondhand smoke. The bad news: The nicotine in cigarette smoke makes your heart work harder by narrowing your blood vessels and increasing your heart rate and blood pressure. The good news: When you quit smoking, your risk of heart disease drops dramatically within just one year. And no matter how long or how much you smoked, you'll start reaping rewards as soon as you quit. Eating a special diet called the Dietary Approaches to Stop Hypertension (DASH) eating plan can help protect your heart. Following the DASH diet means eating foods that are low in fat, cholesterol and salt. The bad news: Change is hard. This means less/no deep friend foods, bakery goods, or adding salt to food before tasting it. The good news: It will help you in the long run. This means more fruits, vegetables, and fish. In addition, eating more fruits and vegetables can not only help prevent heart disease, but also may help prevent cancer. As you put on weight in adulthood, your weight gain is mostly fat rather than muscle. This excess weight can lead to conditions that increase your chances of heart disease - high blood pressure, high cholesterol and diabetes. One way to see if your weight is healthy is to calculate your body mass index (BMI), which considers your height and weight in determining whether you have a healthy or unhealthy percentage of body fat. BMI numbers 25 and higher are associated with higher blood fats, higher blood pressure, and an increased risk of heart disease and stroke. The good news: Even a small weight loss can be beneficial. Reducing your weight by just 10 percent can decrease your blood pressure, lower your blood cholesterol level and reduce your risk of diabetes. High blood pressure and high cholesterol can damage your heart and blood vessels. But without testing for them, you probably won't know whether you have these conditions. Regular screening can tell you what your numbers are and whether you need to take action. The bad news: High blood pressure is known as a "silent killer", meaning you won't know you have it till it's too late. The good news: Both blood pressure and cholesterol levels are easily measured by your doctor. A short visit to the office or even some health screening fairs or clinics can tell you your numbers. Getting some regular, daily exercise can reduce your risk of heart disease. And when you combine physical activity with other lifestyle measures, such as maintaining a healthy weight, the payoff is even greater. The bad news: It must be regular physical activity to make the most impact. The good news: All it takes is 30 to 60 minutes of moderately intense physical activity most days of the week. However, even shorter amounts of exercise offer heart benefits, so if you can't meet those guidelines, don't give up. You can even break up your workout time into 10-minute sessions. Remember that activities such as gardening, housekeeping, taking the stairs and walking the dog all count toward your total.